In the Boogaloo Bag entry for last month’s Uptown Getdown, the passing of The Mighty Hannibal was mentioned and observed. What was not mentioned is that he was a beloved character in our little scene. Back in the nineties, when Phast Phreddie the Boogaloo Omnibus was working as a music publisher, he took a call from The Mighty Hannibal. 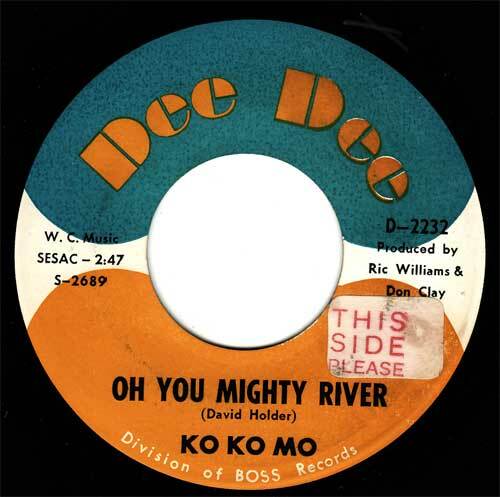 The Mighty One was looking to activate his copyrights, a handful of which were controlled by said publishing company. The Boog promised to see what he could do, he then gave him the phone number of one of his fans, Mr. Fine Wine (It was thought at the time that Mr. Fine Wine would invite The Mighty Hannibal onto his radio program). Gaylord Fields, One Mint Julep, Mr. Fine Wine, Phast Phreddie the Boogaloo Omnibus, Billy Miller, Lady Z and Lenny Kaye swing at the Mighty Hannibal Memorial Record Spin. The phone call lead to more than that. The radio DJ helped Hannibal set up some shows, introduced him to Norton Records (who issued Hannibalism, a collection of his best records) and the two became great friends. Their friendship was documented in the unfinished film Showtime! The shows that Hannibal performed in New York over the last ten years or so were the most fabulous spectacles imaginable—a great soul singer of the sixties revived; the resurrection of The Mighty Hannibal! Howie Pyro and Dave the Spazz discuss the Mighty Hannibal’s great records. Billy Miller and Gaylord Fields cue up another great Mighty Hannibal record. 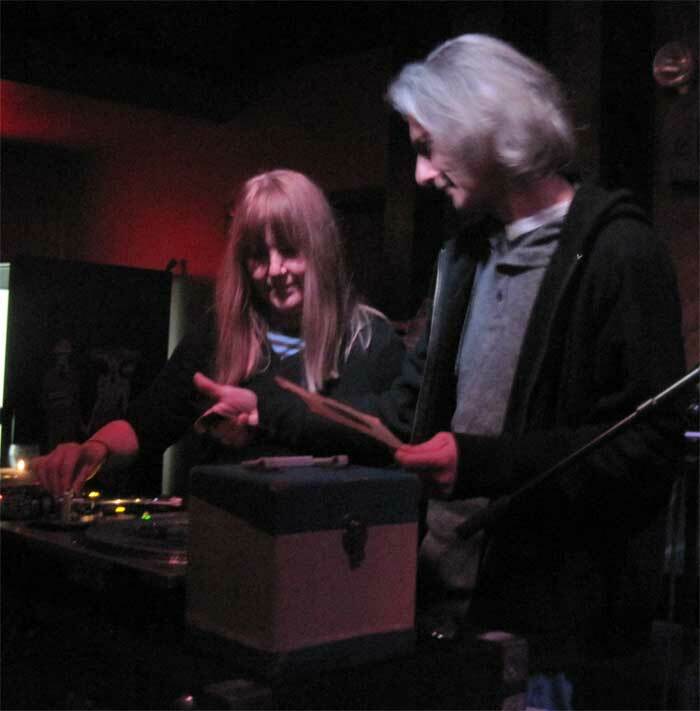 On Wednesday February 19, Billy Miller and Miriam Linna of Norton Records organized The Mighty Hannibal Memorial Record Spin at the Bell House. Eleven DJs were slotted to play records in the spirit of The Mighty One. People who knew him gave testimonials. 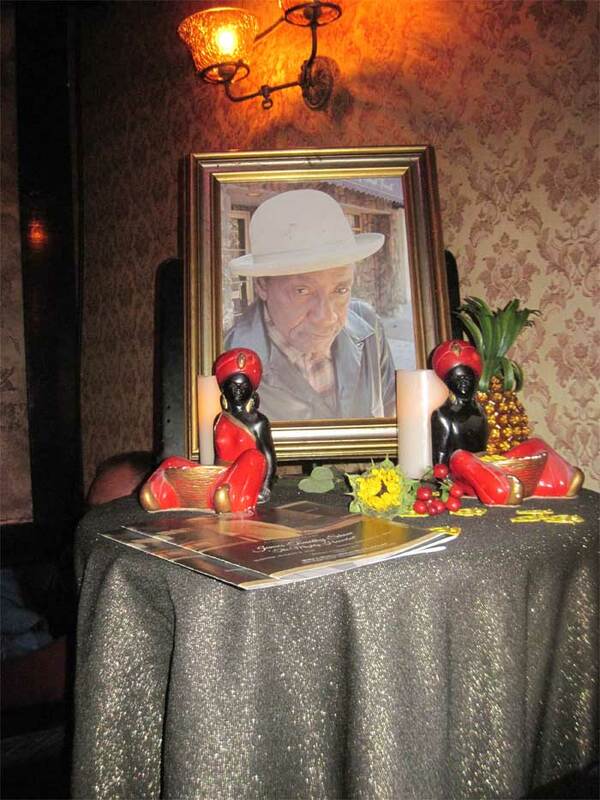 All had a great time, as we remembered this wonderful artist with fabulous (mostly) R&B records in his spirit. 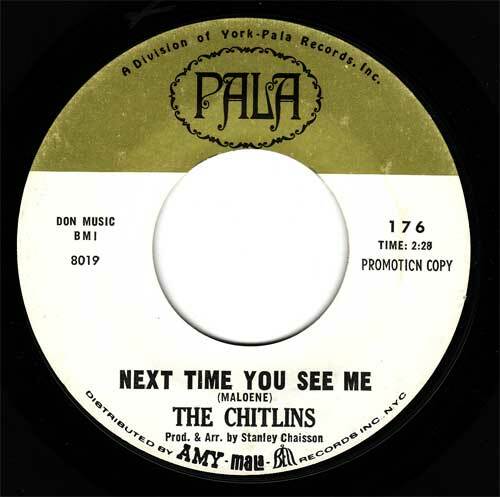 Among the DJs who spun 45s (many of them including a Hannibal track or two in his or her set) were Todd-O-Phonic Todd (Maxwells), Mr. Fine Wine (WFMU), Debbie D (WFMU Rock ‘n’ Soul Ichiban), Dave the Spazz (WFMU), Howie Pyro (Luxuria Music), Billy Miller (Norton Records), Josh Styles (Daddy Long Legs), Gaylord Fields (WFMU), Miriam Linna (Kicks Books), Rex Doane (WFMU) and Phast Phreddie the Boogaloo Omnibus. Rex didn’t make the scene, but our pal Lenny Kaye dropped by for the festivities, and he swung a few records during Miriam’s cool set. Debbie D and Gaylord Fields waltz to “Fishing Pole!” Photo by Zoe Poore. 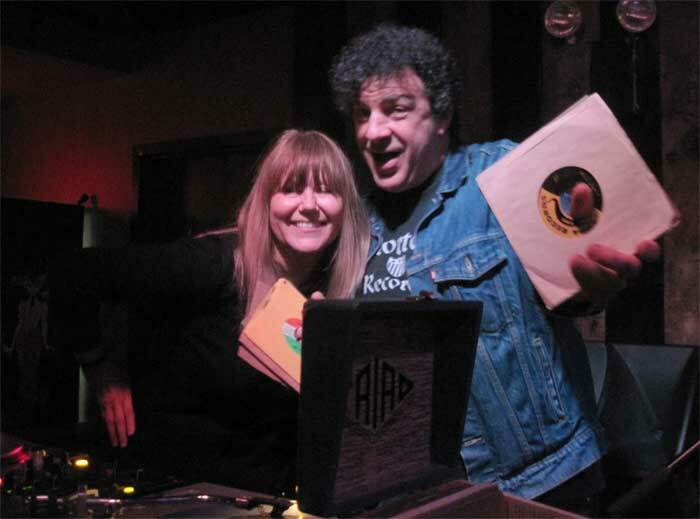 Miriam Linna and Billy Miller swing at the Mighty Hannibal Memorial Record Spin. Miriam Linna and Lenny Kaye present another great Hannibal record. 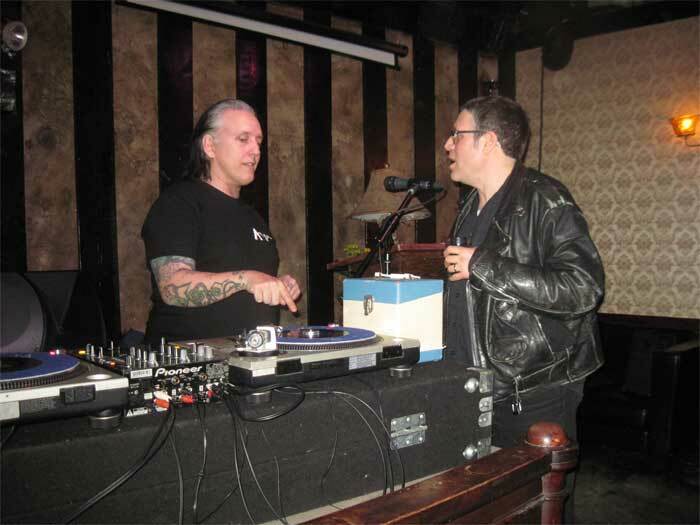 Josh Styles and Todd-O-Phonic Todd work the DJ booth at the Mighty Hannibal Memorial Record Spin. Click on the images and they will Big-O-Fi! 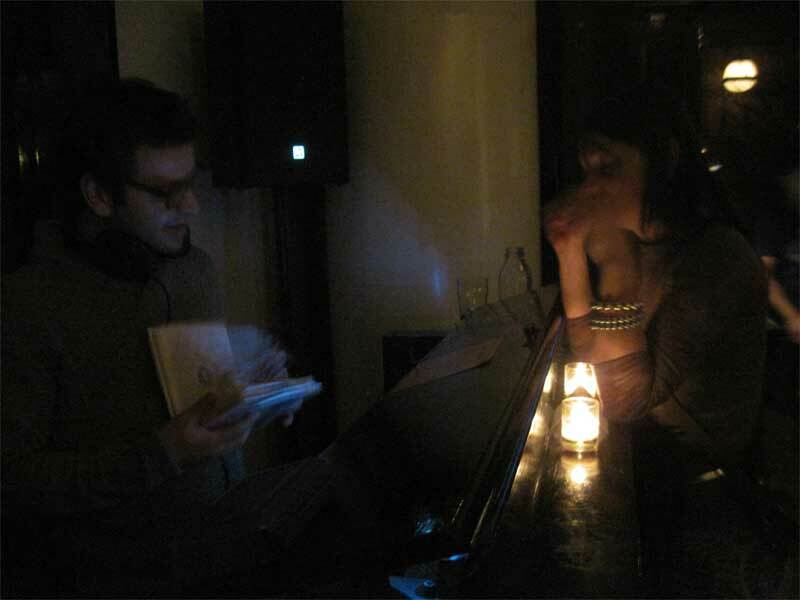 Eli “Paperboy” Reed discusses the finer points of the blues with a patron of the Ace Hotel. Eli “Paperboy” Reed, as all readers of the Boogaloo Bag should know, is a contemporary soul singer with one foot solidly in the R&B tradition and another with its big toe dipped into the future. (The Boogaloo Bag writers await with baited breath the release of the Paperboy’s new album, due this spring.) 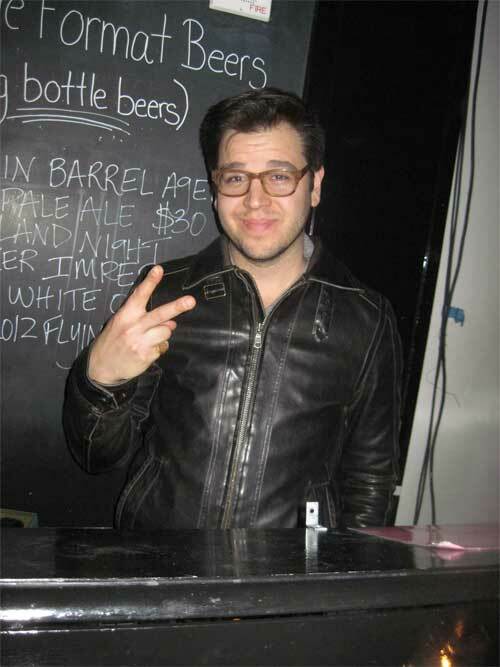 He is also a world-class record collector and a super-fine DJ. 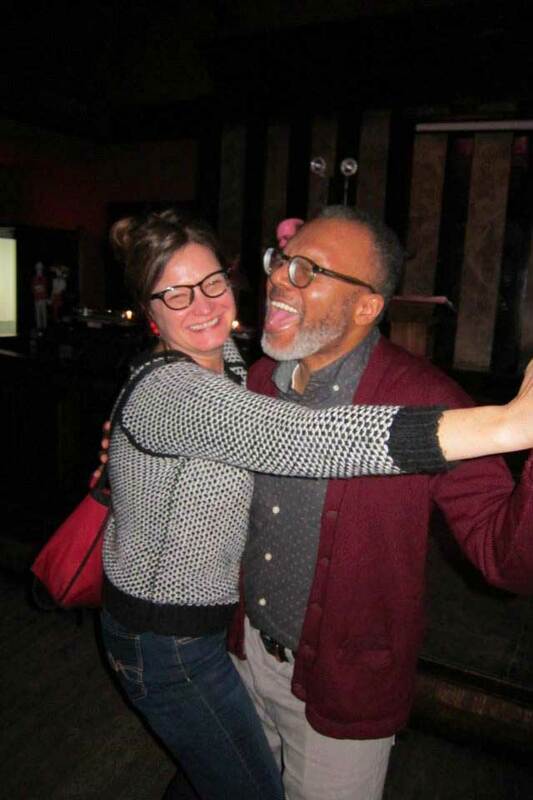 So it was with much excitement that Phast Phreddie the Boogaloo Omnibus agreed to guest DJ with him at the lobby of the Ace Hotel in Manhattan on Tuesday February 4th. The Zagat guide to New York City calls the Ace Hotel “young,” “stylish,” “spendy” and “trendy,” and that it “delivers a rock ‘n’ roll aesthetic with lots of character.” But let’s face it; at about $300 a night for a tiny room, it’s a yuppie joint! 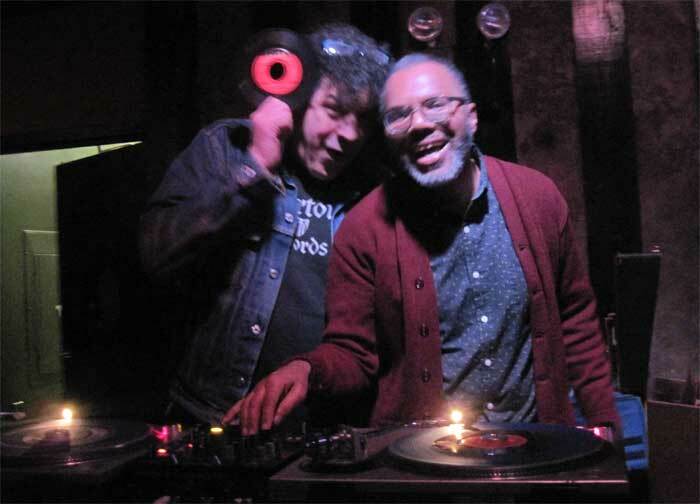 Thus, it was like going deep into enemy territory when these two ace DJs, armed only with a couple boxes of R&B records, pushed forward in their attempt to round off some of the cubes that populate the lobby bar. Because the Paperboy is, at heart, a bluesman, it was a preponderance of blues records that were played. 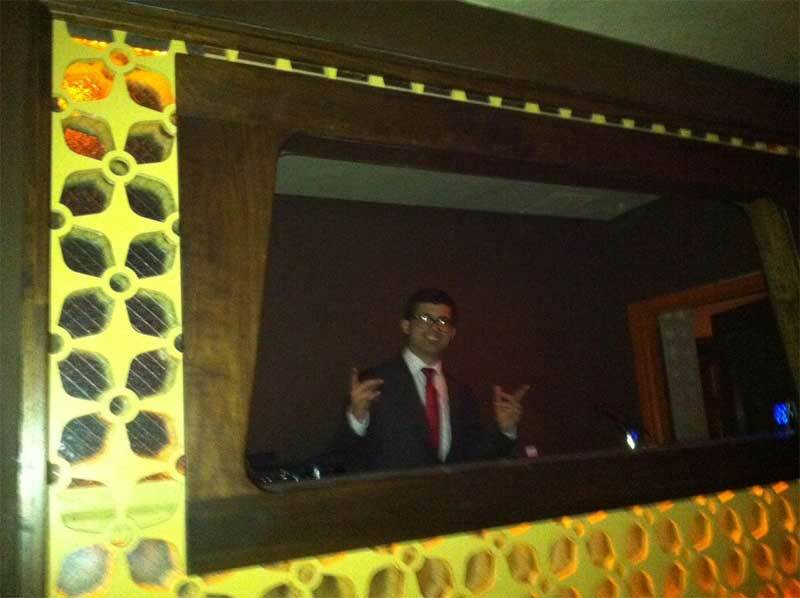 If no one else in the packed lobby seemed to care, the two DJs definitely wowed each other! The Paperboy has great records, that’s for sure and The Boog thoroughly enjoyed listening to the records he played. Man, that one by Big Daddy Simpson sounded great. 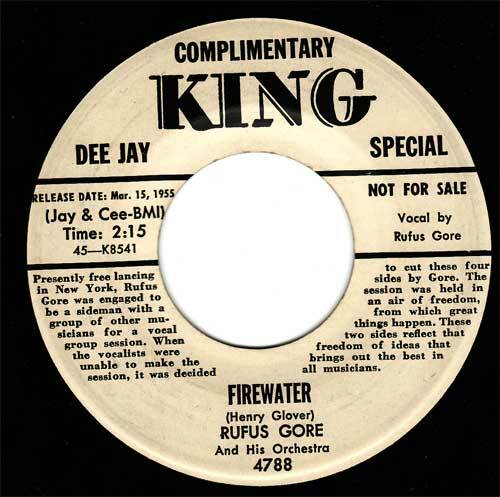 Plus he played records by James Brown & His Famous Flames and The “5” Royales that sounded fabulous turned up so loud! What was the Little Milton on Bobbin that he played? That was cool, also. He played too many good ones to list here! 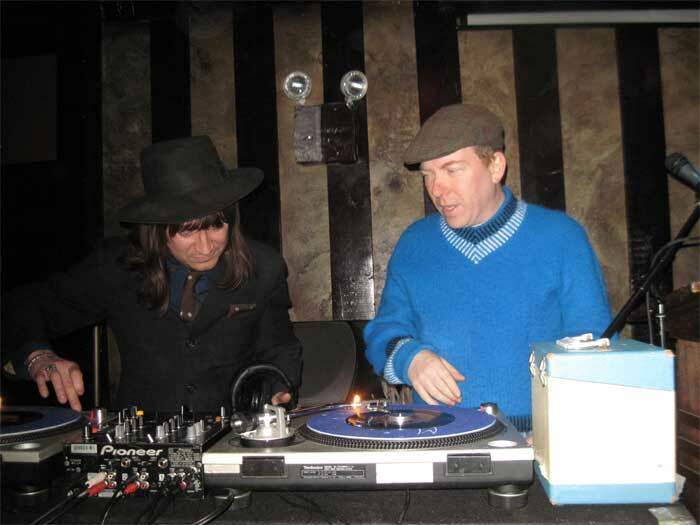 But the Ace Hotel isn’t so bad—at least they are smart enough to round up such DJs as the Paperboy (who will be there most of the Tuesdays this month) and Mr. Fine Wine (who did swung the place last year, and who will guest with the Paperboy on February 11). A place like that could easily be a creep-with-a-laptop joint. Plus, the food is GOOD! Peanut Butter Brown swings at the Uptown Getdown. Photo by Rachel Daniell. The Uptown Getdown is the latest entry into soul dance DJ night activities. This particular one, which took place on Thursday January 30, was held at Ginny’s Supper Club in Harlem—a beautifully appointed room in the basement of the Red Rooster on Lenox Avenue. The Uptown Getdown was organized and hosted by our pal Peanut Butter Brown, who was absolutely swingin’ at this, his first, DJ appearance. Other DJs included HoneyDew Sue, One Mint Julep and Phast Phreddie the Boogaloo Omnibus. A hearty congratulation is hereby extended to Peanut Butter Brown for a very successful event! Unfortunately, a cloud settled over what should have been the happiest of occasions due to the passing of the great R&B singer The Mighty Hannibal earlier in the day. 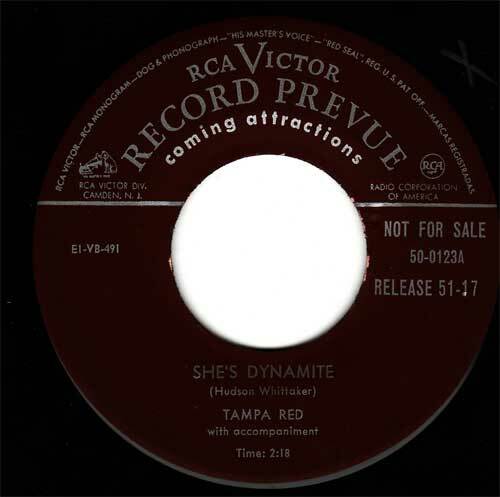 Although Hannibal did not have many R&B chart hits, his career began in the fifties and, for more than a decade, it paralleled the history of R&B itself. 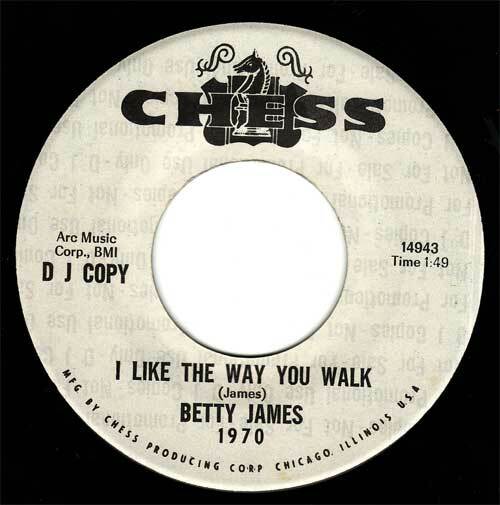 He cut doo wop records, hard R&B, soul and funk. 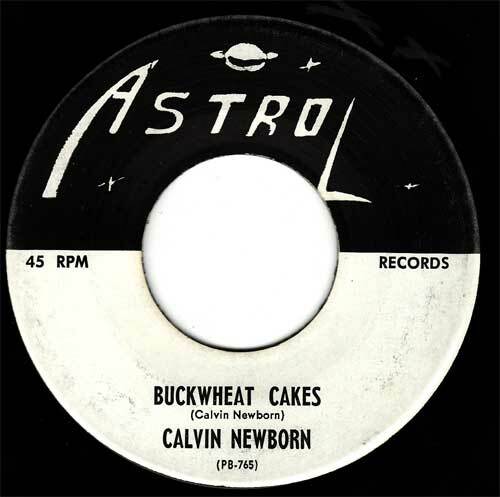 His best records are as good as it gets and it’s a shame that they did not receive greater recognition when they were originally issued; but they are prized among soul music aficionados. Phast Phreddie the Boogaloo Omnibus honored The Mighty Hannibal during the Uptown Getdown by playing three of his songs.